Himachal Pradesh is considered to be a home of scenic mountain towns and resorts like Dalhousie. Tibet surrounds this snow-laden province on the east, Uttarakhand on the southeast, Haryana on the southwest, Punjab and Jammu & Kashmir on the west and north respectively. The mountainous state is full of beautiful valleys in Himachal Pradesh that attracts tourists from all over the world. 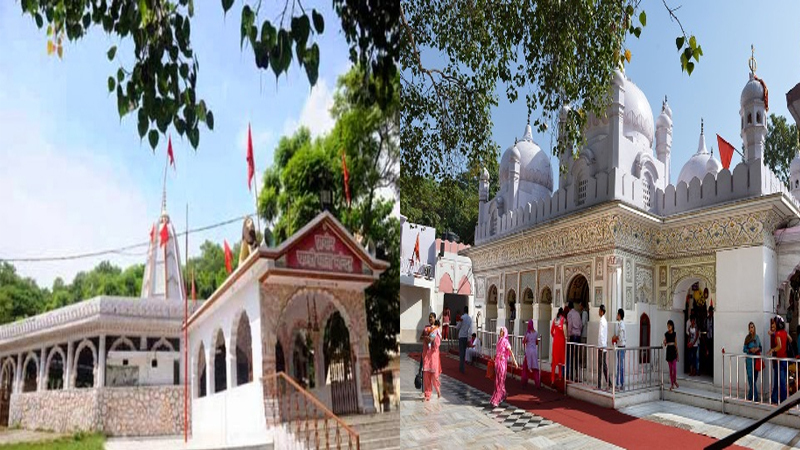 It also has a religious significance marked with the presence of prominent temples like Naina Devi Temple, Jwala Ji Temple, Brahma Kali temple, Chamunda Devi temple, and others and henceforth, is also entitled with a new name ‘Dev Bhoomi’, which means Adobe of gods. This place is quite famous among the adventurous sports lover, as one can enjoy ice skating in Shimla, skiing in Manali, paragliding in Bir Billing and Solang Valley, and river rafting in Kullu. Besides, activities like fishing, trekking, and horse riding are available in almost every part of the state. Here are some of the top 10 valleys in Himachal Pradesh you should visit at least once. 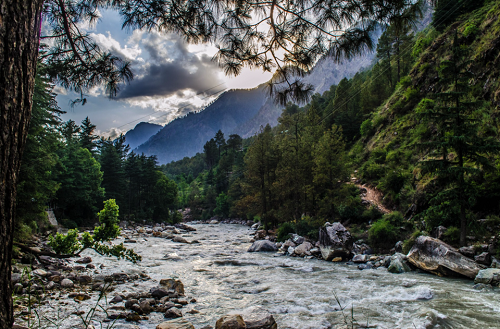 Solang Valley’s name is originated with the combination words Solang and Nallah; where Shola is the name of a nearby village and Nallah refers to the water stream. It is the best valleys in Himachal Pradesh and is located at the top of Kullu valley and is quite famous for its adventurous summers and winters sports, which accounts to parachuting and paragliding coupled with skating and zorbing. Besides, a Ski Himalayas Ropeway was recently opened in this place. 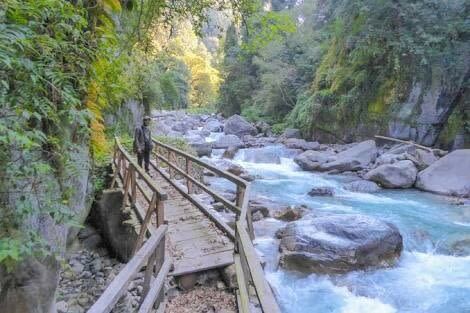 Best Time to Visit: The best time to visit Solang Valley is from September to June. 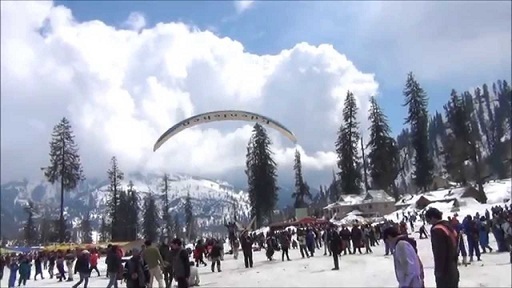 As during winters the tourists can enjoy skiing and the snow; whereas, during summers these snow activities are replaced with parachuting, paragliding, horse riding, zorbing. Reaching Solang Valley: If you are planning to travel by air, Bhuntar is the nearest airport to Manali, which houses the Solang. By rail, Jogindernagar is the rail road that connects to Manali and by bus you will find plenty of buses that ply from Delhi, Chandigarh, Dehradun, Amabala etc. to this region. There are Himachal Road Transport buses at cheaper rates. The Pandoh Dam is another very famous valley in Himachal Pradesh, which is situated in the Mandi district of the state. 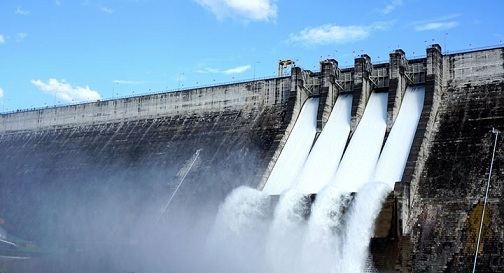 The dam is constructed on the Beas River and is primarily used for hydroelectric power generation. This place is also quite famous for preserving your tour with great pictures as the location is full of lush greenery and highly picturesque. Many tourists visit this place for water rafting, which is usually done in the lower bed of the area. Best Time to Visit: The best time to visit Pandoh dam is from April to July during summers and in between September until December in winters. This area also witnesses snowfall in between December and January. It is recommended not to visit this place during monsoons, as the climatic conditions main result in land sliding. Reaching Pandoh Dam: Since it is located in the NH 21, taking a public transport would be a good idea, like a taxi or bus. Bus service is a cost effective way. You can also reach Bhuntar by air and then travel to the dam. Green Valley is ranked 3rd amongst the list of famous valleys in Himachal Pradesh and offers a charming and breathtaking mountain range view during the entire road trip from Shimla to Kufri. The natural beauty and flourishing greenery of this place will mesmerize The Tourist with many unforgettable memories in the lap of Mother Earth. This place is surrounded by hills that are covered with thick pine and deodar forest. And one can also enjoy the magnificence of local shacks and markets. Best Time to Visit: Green Valley can be visited any time throughout the year. However, the best time considered to tour Green Valley is during the summers and after the monsoon, as one can witness the untouched natural, dense, and green vegetation. Besides, most of the tourists plan their trip in between July to October and from February to April. Reaching Green Valley: The place is accessible by roads, while travelling from Shimla to Kufri. Chandigarh and Pathankot are the nearest railway stations to reach Green Valley and the nearest airport is Bhuntar or Chandigarh. Tirthan Valley is considered to be the untouched and mesmerizing destination among all valleys in Himachal Pradesh. It is very close to the entrance of the great Himalayan National Park, which is the most visited place by the adventure seekers and nature lovers. This Valley is also quite famous for its trout fishing that attracts both the domestic and international tourists towards its mouth licking trout dishes. This place is also amongst the best honeymoon destinations, accounting to its magical Ambience and lush green paths tossed up with fantastic weather throughout the year. Best Time to Visit: Ideally, you can plan your trip in between March and June, witness the cold weather, exploring the natural and untouched flora and fauna, and the apple orchids. Besides, you can also pay a visit during winters starting from November till February to witness snowfall. Reaching Tirthan Valley: You can reach to Bhuntar by air and then rely on taxi or bus to take you to the location. You can also travel by road from Chandigarh, Delhi, Punjab or Haryana. Take a bus till Aut, which is 26kms from the location. Ambala and Kiratpur are the nearest railway station to Tirthan valley. Take a bus or taxi from the station to reach the destination. Parvati Valley is another beautiful valley in Himachal Pradesh, which is quite famous for its most challenging tricks. It is the most visited valley by the adventure seekers due to the presence of Parvati Valley Base Camp Trek. From the eyes of an adventure seeker, this place owns a mesmerizing natural beauty and spell bounding surroundings that are filled with challenges. The tourists can also witness the changing colors of the mountain peak with the movement of the sun across the valley. Best Time to Visit: Best time to visit this place for trekking is from May to June, as you can enjoy the present weather and cooler nights. However, to witness snowfall, it is suggested that you visit this place from December to February. Reaching the Parvati Valley: Catch a local Manali bound bus and get down at Bhuntar. Bhuntar airport is the nearest airport to Parvati Valley and Ahuj railway station is the nearest one to Parvati Valley. Barot is a famous name of valleys in Himachal Pradesh and is located in Mandi district. The unpolluted air draws and scenic landscapes are mesmerizing and attractive for the nature lovers. This place is also famous for its trekking passes and unexplored landscapes. Barot Valley is also marked with a small village surrounded by thick forest with deodar and oak plantations that serve to be the home of a variety of flora and fauna. 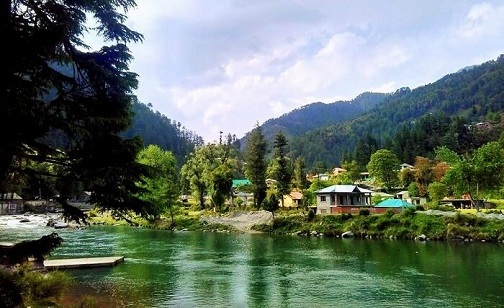 Best Time to Visit: Since the nature seekers and peace lovers admire Barot Valley, henceforth, it is suggested to with visit this place in between April and June to explore its natural beauty. However, you can also plan your trip during winters starting from November until February to enjoy the cold waves with dim sun shines!!! Reaching Barot Valley: You can reach Barot by road from Chandigarh, Delhi or Punjab by taking the local buses. Kullu airport is the nearest airport and Jogindernagar Nagar is the nearest railway station that connects to the valley. Kinnaur Valley bus for its Apple orchards, beautiful meadows surrounded by thick forests, small hamlets, and ever-adventurous road trips. This place is amongst a must visit tourist spot during winters, accounting to the breathtaking view of Kinner Kailash that is close to the Tibetan border. This valley is divided into two parts; the lower portion comprises of the areas like Sangla, Chitkul, ReckongPeo and Kalpa. Whereas, the upper part refers to the area covering Nako village. Best Time to Visit: Although you can visit this valley throughout the year, the spring and summers are considered best for planning your trips. The period from April to October is best to witness the pleasant weather with local sightseeing. But, it is advised not to visit this place during monsoon or harsh winter conditions. How to reach: There are buses from Delhi and Chandigarh that run daily and this is probably the best way to reach Kinnaur Valley. Shimla is the nearest railway station to the valley, from where you can take a taxi to reach the destination. Shimla airport is the nearest airport. Spiti Valley is pictured with long winding roads coupled with the picturesque valleys, representing cold deserts and snow ground mountains. Due to its natural beauty, it is equivalent to the flower valley in Himachal Pradesh. Due to its high altitude, it is marked as one of the coldest places in India. Spiti means ‘the middle land’, and the site signifies its name as it separates India from Tibet. This Valley is also famous for its treks, which starts from Kaza to various peaks where one can enjoy the views of Himalayan Mountains. Best Time to Visit: Ideally, this place should be visited in summers. 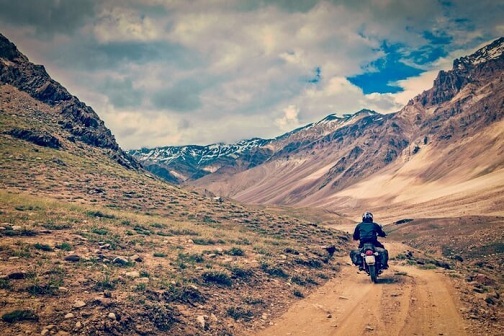 However, for the backpackers looking for peace can visit Spiti Valley from March till June. It is also recommended not to visit this Valley during winters or monsoon months. As winters might lead to road blockage due to snowfall; whereas, the monsoons main result in heavy rainfall followed by land sliding. How to reach: The first road route is from Shimla, passing through the Kinnaur valley. This will take about 2 days and you can halt for the night at Kalpa or Reckong Peo. It however depends on the road condition that will depend how long or short you take to reach. Kangra Valley is one of the best places to visit in Dharamshala and is close to flower valley in Himachal Pradesh. This place is quite famous for its picturesque surroundings an ancient temples that attract tourists from all over the world. It is also the home of Masroor Rock Cut Temple, or Himalayan pyramids, which is a possible contender as a UNESCO World Heritage Site. It is close to McLeod Ganj, Triund (famous for treks), and Balh valley (a hidden trek). 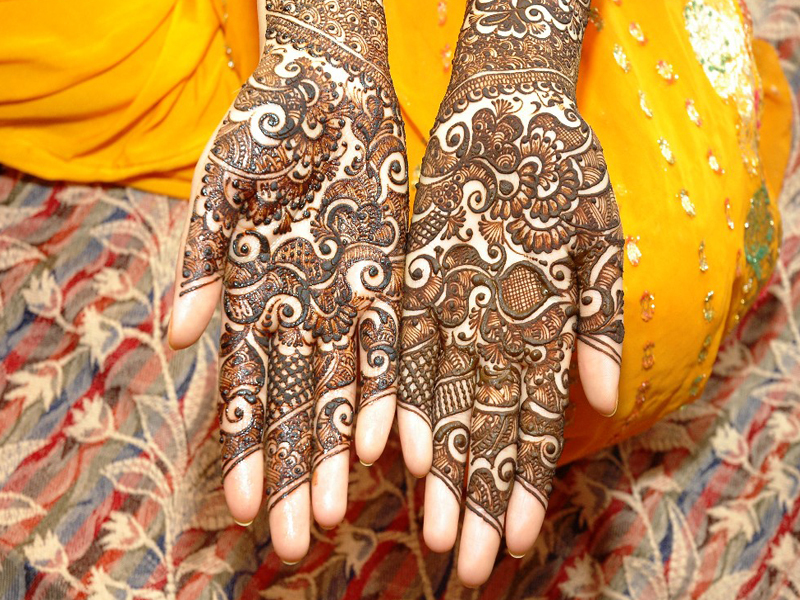 Best Time to Visit: The period between September and June are considered best to visit Kangra. Also, the summer months of May till June is mostly picked by the trekkers where the period between Septembers to November is deemed to be ideal for sightseeing and outings. How to reach: you can choose the airport at Gaggal in Kangra and there are many flights from Delhi to here. There are also buses from Dalhouise, Delhi, Manali, Pathankot and Shimla. The nearest railway station is Pathankot, which is 70kms away from Kangra. Hamirpur Valley is another very famous valley in Himachal Pradesh. 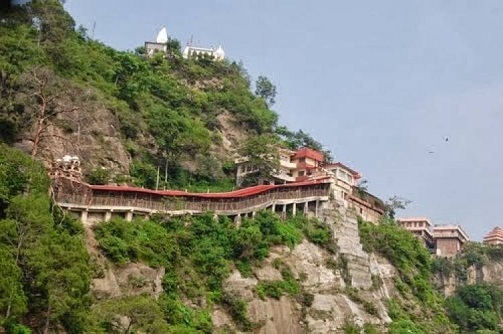 It is filled with religious places like Awah Devi Temple, Narbadeshwar Temple, Tauni Devi Temple, along with many other tourist spots. It is also very famous for adventure activities like a river rafting, paragliding, trekking, and angling. While planning your trip to Hamirpur Valley, you can also include tourist spots like Kotkahlur Fort, Vyasa Cave, Naina Devi Temple Gobind Sagar Lake, and Bachhretu Fort in your itinerary. Best Time to Visit: You can visit Dharamshala anytime throughout the year. But the ideal time to visit this place is from springs too early summers, as per the climatic condition of this place, which makes it more beautiful and attractive during this time. It is advised not to visit this place during winters are monsoons as it may not be too appealing for you as a tourist. How to Reach: Kangra airport is the nearest airport. You can take a cab from here to Hamirpur. It will take about two and a half hours to reach. Kiratpur Sahib Railway station is the nearest rail route and it will take about 3 hours to reach Hamirpur from here. You will also find ample buses from Delhi, Chandigarh and Pathankot. Here are something’s you need to know when travelling to these valleys. Remember to carry warm clothes and jackets if you are travelling in cold season. If you are going in the peak winter, carry fleece, woolen socks and other essentials. Make sure to carry the right trekking shoes and wear only comfortable clothes if you are intending to trek. Do not stand in way of the rules. It is always smart to follow the norms of the culture and of the valley. Unless you are experienced, do not plan on trekking solo. Always put safety first. Himachal Pradesh as a tourist spot attracting all kinds of tourists including the adventure seekers along with the nature lovers and photographers. This state also holds a religious significance, accounting to the presence of numerous temples in Himachal. The tourism of this state is increased due to its acceptance as a perfect weekend getaway. It is a place worth breathing it, living it, cherishing it, and loving it!! If you wish to include any of the mesmerizing valleys in your itinerary, do update us with your experience and memories as a token of gratitude!!! 1. What is the best time to visit Himachal Pradesh? Ans: Typically, Himachal Pradesh can be visited anytime throughout the year. But, going to its geographical presence along with its unpredictable climatic conditions, it is advised to visit this state especially during summers and springs, to witness most of its natural beauty. Besides, monsoons may result in heavy rainfall and land sliding which can block your way and plan!! 2. Can I enjoy adventurous Sports without prior booking? Ans: Yes you can enjoy the on spot booking for these water and adventure sports activities. But it is advised to make a prior booking, as this place is always overwhelmed with adventure seekers. Also, the prior reservation will ensure you with the confirmed ticket of enjoyment and a lifetime memory!! 3. Will I face any food or resting issue during my trip? Ans: Himachal Pradesh is not just a tourist spot, but it is a home for many people. So you won’t be facing any problem related to the availability of food or accommodation. The local shacks along with numerous Maggi points will ensure that you are not hungry during your trip; whereas the home stays and the availability of hotels will cover up your lodging!! 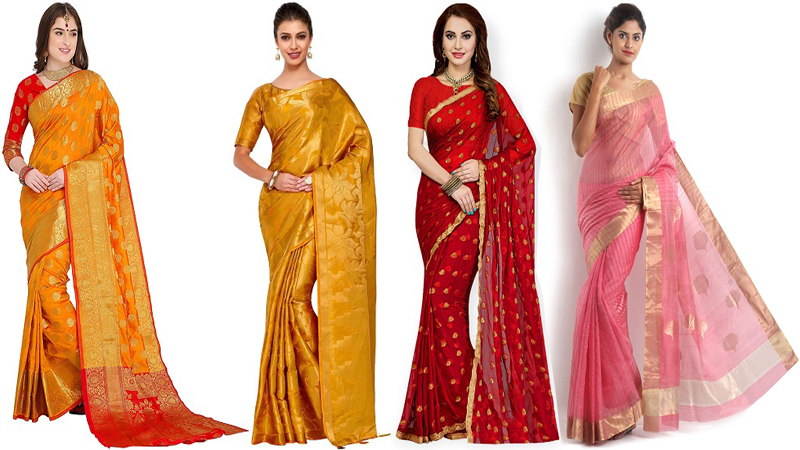 Amazing Models of Zari Sarees That Will Suits To Every Occasion! 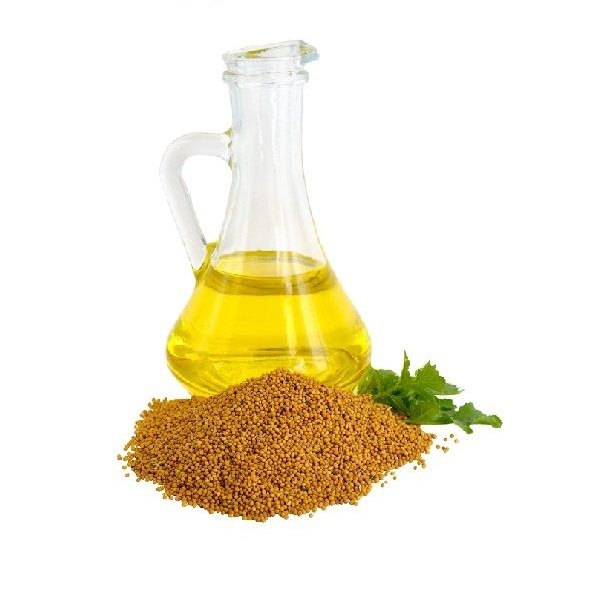 How Does Mustard Oil Help to Reduce Hair Loss?